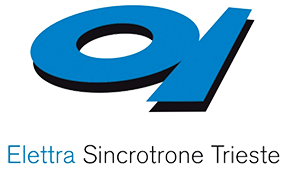 Elettra Sincrotrone Trieste is a multidisciplinary international research center of excellence, specialized in generating high quality synchrotron and free-­electron laser light and applying it in materials and life sciences. We develop excellence by providing state-­of-­the-­art services for high-­quality, internationally recognized research, thus contributing to enhance the positive impact and relevance of science on society. Elettra Sincrotrone Trieste promotes cultural, social and economic growth. The main assets of the research centre are two advanced light sources, the electron storage ring Elettra and the free-electron laser (FEL) FERMI, continuously (H24) operated supplying light of the selected "colour" and quality to more than 30 experimental stations. These facilities enable the international community of researchers from academy and industry to characterize structure and function of matter with sensitivity down to molecular and atomic levels, to pattern and nanofabricate new structures and devices, and to develop new processes. Every year scientists and engineers from more than 50 different countries compete by submitting proposals to access and use time on these stations. These are selected via peer-­review by panels of international experts on the basis of scientific merit and potential impact, and the winners are granted valuable access time as a contribution to their research. Elettra hosts students (both at the undergraduate and the postgraduate level) and postdoctoral fellows, involved in large variety of projects, ranging from physics to biology. Subjects being studied include physics, material science, environmental sciences, electronics, chemistry, microscopy, crystallography, nanotechnology, renewable energies, cultural heritage, biophysics and biomedical sciences. The laboratory is not an academic institution, and does not award degrees. However it hosts a large number of students, both undergraduates and postgraduates, who carry out research projects. Elettra has closed connections with local Universities and several researchers are actively involved in teaching programs. Thus Elettra students have multiple opportunities to attend academic courses on a variety of subjects. As Elettra is a member of the AREA Science Park, students and fellows can exploit the services offered by the Welcome Office Friuli Venezia Giulia (www.welcomeoffice.fvg.it). Moreover, due to the constant flow of foreign visitors, the Elettra Human Resources department offers additional support for all practical issues (immigration procedures, accommodation, etc.). Thanks to its leadership position in European excellent science, as well as to its strategic geographic location, at the gateway of Central Europe, Elettra Sincrotrone Trieste has tight collaboration with more than 50 institutions worldwide. Our internationally renown partners include, among others, the Italian National Research Council (CNR), the International Centre for Theoretical Physics (ICTP), the International School for Advanced studies (SISSA), the Central European Initiative (CEI), the International Agency for Atomic Energy (IAEA) and the Central European Research Infrastructure Consortium (CERIC-­‐ERIC). The access by researchers from developing countries has tripled over the last few years, and the Indian research community is one of the largest users. Elettra Sincrotrone Trieste has been the coordinator of the EU-­‐ supported networks involving synchrotron and free electron lasers in the European area, in the last decade. Such networks promote transnational access, joint research activities and collaborations among the laboratories to improve the overall service offered to European users.